If you have any questions or want to enquire about dates, use our form to contact Patrick Cabon or see their website for more information. Tranquil villages are close in this refreshingly unspoilt corner of Bourgogne: Vézelay and its hilltop abbey, quaint Noyers, and epicurean Dijon just a day trip away. Through the gate all is verdant with vines and the garden is perfect for evening strolls. You eat convivially on the pretty terrace or in the grand dining room with Patrick and Eric hosting you warmly. Vegetables are home grown, everything is cooked from scratch. Breakfast is equally delicious – homemade yogurt, freshly-baked cakes, local meats and cheeses. You’re surrounded by gorgeous countryside and the village perches on the river Serein so you can walk without coming across busy roads. Noyers is only 9km away and one of the 100 most beautiful villages in France. 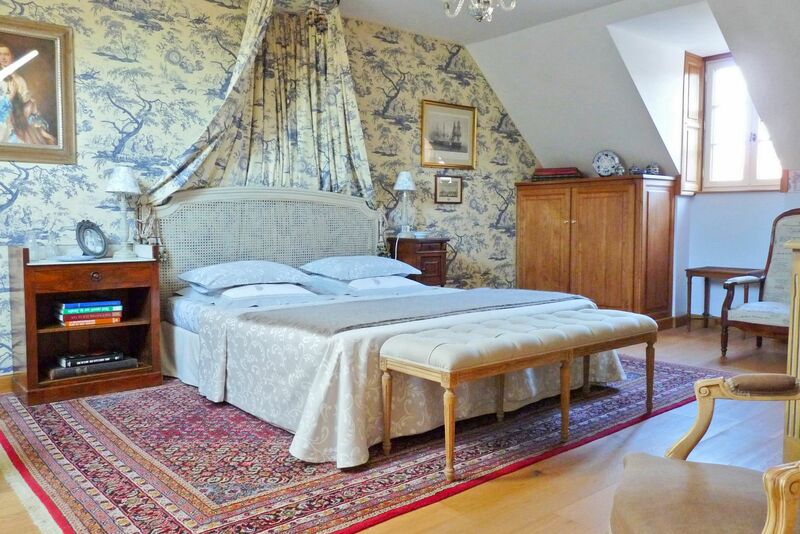 Return to romantic bedrooms with fine paintings and antiques, either in the main house or in the stables. Dinner with wine, €38; not Thursdays. Restaurants 4km. 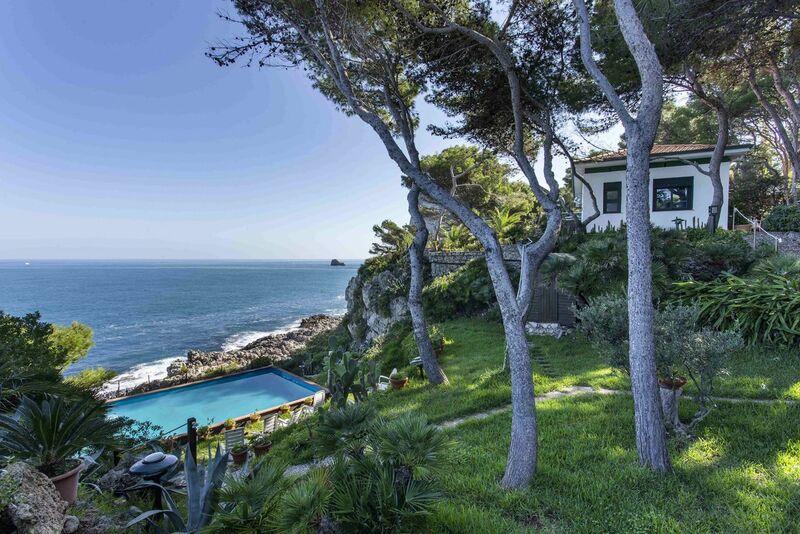 When you stay at Carpe Diem, it is more than an ordinary holiday : it a is real time-travel. You experience the "art de vivre à la française" and all the refinement that goes with it. The atmosphere reminds you of novels written by George Sand, and you almost expect Chopin to play the piano . Every detail is well thought of. Nothing "show-off", everything is authentic and seems to have been there forever. But you are reminded that you are living in the twentieth century because of the ultimate comfort everywhere: king-size beds and magnificent bathrooms with walk-in showers! We have just spent 5 memorable days at Carpe Diem and it has been like staying with friends. Thank you so much Patrick and Eric for your wonderful hospitality. 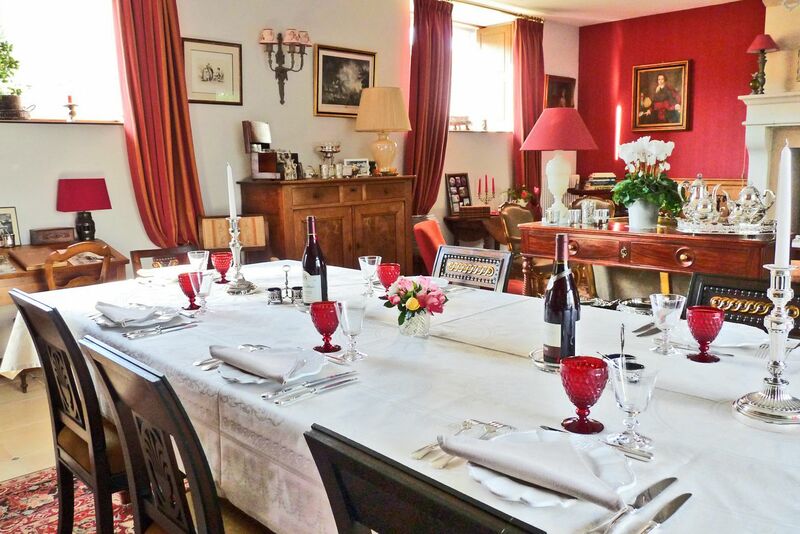 You are excellent hosts and your house has the perfect ambiance for a relaxing break touring France. This place is amazing! We stayed in the Diane room and it was gorgeous. Lovely big bedroom area with beautiful furniture and bedding. The bathroom was very large with a lovely bath in the middle of the room. There is secure parking and the garden is very pretty. We had evening meal here and it was one of the best meals we have had a very long time. Patrick and Eric are amazing chefs and very professional and charming gentlemen. The food was "fine dining" quality and the presentation was first class. Breakfast was one of the best we had out of 8 B&B's we stayed in during holiday. Exceptional place to stay -just perfect: the welcome, accommodation, evening meal. Were sorry only to be there for one night and aim to revisit for longer next year. We had the distinct pleasure of spending two nights with Patrick and Eric in their beautifully restored farmstead now their home. Our room was perfectly appointed and immaculately kept. We were most comfortable and cozy in a season that had turned to a rainy and cooler time. In the evening a warming fire was set in the living room which also served as the inviting breakfast room. Our hosts were most helpful in suggesting towns and villages to visit for their natural beauty and Chablis wine sampling. Patrick and Eric are two of the most delightful and accommodating hosts in Chablis. This is an amazing place to stay. A brilliant welcome and fabulous comfortable rooms. The attention to detail that Patrick and Eric have taken with the decor and soft furnishings to the delicious dinner and breakfast are second to none. We will most certainly return. We loved our 2 night stay at Carpe Diem. Our room was charming,very comfortable and roomy. It overlooked a lovely cottage garden and was very private and quiet. Patrick, our host, was very warm and welcoming. We were fortunate to have the opportunity to dine in on one evening of our stay (for a very reasonable additional charge). The meal cooked by Patrick, was delicious and was accompanied by a sampling of local wines. This part of Burgundy is highly protected – largely untouched by industrialisation, big roads and housing estates. A handful of shops and restaurants can be found in nearby L’isle-sur-Serein (5km), with more to see in medieval Noyers (10km) and fortified Montréal (13km). Walk part of the Saint Jacques pilgrimage, tour vineyards, indulge in gastronomic restaurants. The medieval village of Noyers is 9km away - it's one of the 100 most beautiful villages in France. Visit the basilica of Vézelay (40 mins). 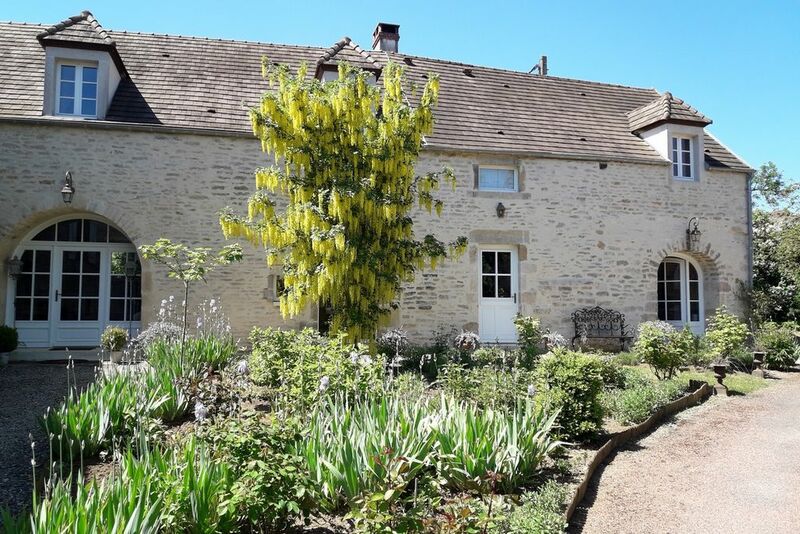 The house is in the wine region of Chablis. Try the Fontenay Abbey (40 mins). 10 minutes drive from A6 Autoroute. Patrick and Eric bought their Burgundy home and left behind careers in banking to run their idyllic chambre d’hôte – 19 years later they still only take one evening off a week. They manage everything themselves, from housekeeping to entertaining, and are justifiably proud of their listing in the Michelin Guide. Chat to them about their passion for 19th-century France.